As we remember musical icon Prince three years after his passing, join us for a screening of a unique film inspired by his blockbuster movie Purple Rain. Akounak Tedalat Taha Tazoughai, translated as “Rain the Color of Blue with a Little Red in It,” is the first ever film produced in the Tuareg language of Tamashek. The film is set in the Saharan country of Niger, among desert nomads. 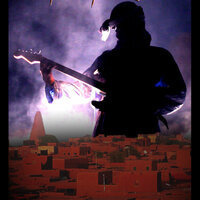 Popular guitarist Mdou Moctar appears in the lead role, playing traditional Tuareg music infused with rock and funk elements. Admission is free.